James Arthur brings his 2017 arena tour to SSE Hydro Glasgow in November. 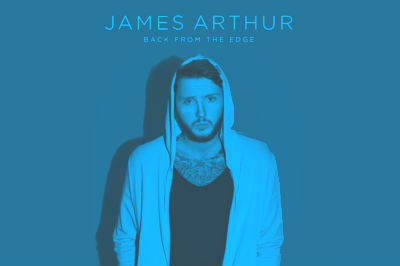 Expect plenty of hits from James Arthur when he comes to town on Tuesday 28 November, in support of his second studio album ‘Back from the Edge‘. Released in 2016 the album delivered the massive number one single ‘Say You Won’t Let Go‘. Arthur won the 9th series of the X Factor back in 2012 and since then he’s shifted over 2 million copies of his winning debut single ‘Impossible’. After a few controversial moves he got back on track and has focused on his career. 2016 was a great year and saw James Arthur kicking off a series of UK tour dates, now extended to include some big summer festivals (V Festival) and this Winter arena tour. Tickets go on general sale from Friday 7 April and are priced from £29.50 plus fees.